Perusing the Internet the other day, I came across the Daily Mail Online article entitled “Letter from Lord Nelson to his mistress Emma Hamilton written days after the birth of their secret love child expressing fears their relationship could be discovered goes on sale for £15,000,” which drew me in with curiosity about yet another clandestine long term love affair with the added delight of the phrase “secret love child.” However, like the promise of so many of these articles with impressive titles, I was not so much intrigued by Lord Nelson’s affair nor their “love child” of whom I learned nothing, but moreso the afterthought write up on the life of Ms. Emma Hamilton. 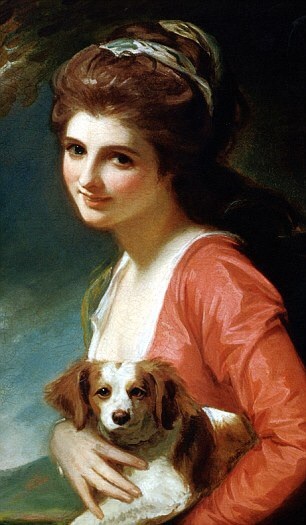 Another noteworthy item is the scant mention of Lord Nelson’s wife, whom he appeared to love very much but was irresistibly drawn to Emma Hamilton upon meeting his future mistress. One can only surmise that the vast complexities of the motivation and underside of the players in this triangle are buried and returned to the soil from which they arose-only the letters remain from which to read between the lines. It appears that the life of a mistress often ends in lonely solitude, especially if her paramour died before her. That she often enjoys a life of luxury coupled with notoriety and is able to mingle in a society that is usually a station above hers is perhaps a small price to pay for this ending. I would imagine that is especially true when the mistress relationship was structured with monetary perks as it was historically. I think the modern day relationship is more varied, with women taking care of themselves financially so that the choice of paramour is not one of necessity entirely or at all.